This is Part 2 of the blog series (The first part of the series can be accessed here). 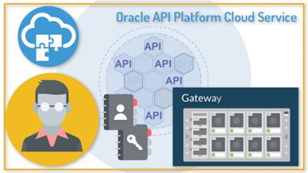 The aim of the blog post is to provide useful tips, which will enable the installation of the on premise Gateway for Oracle API Platform Cloud Services. If you want to know more about the product, then you can refer here. The following tips are based on some of the scenarios, we have observed in production. cat /proc/sys/kernel/random/entropy_avail. Read the complete article here.